APOGEE is the first full-length release dedicated exclusively to the music of Canadian composer Farshid Samandari. While the album focuses in particular on Samandari’s solo and chamber works for flute, it provides an excellent overview of those things that inform his work in general: Persian classical music and literature, Japanese noh theatre, European avant-garde, even physics. 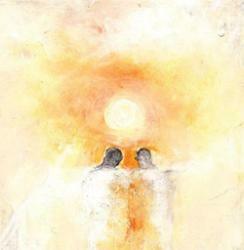 The confluence of these seemingly disparate sources fuels his unique voice and inspires his personal maxim, “Unity in Diversity.” Moreover, each piece is deeply autobiographical. Exile, wandering, the search for a home (both physical and spiritual), and the triumph over adversity are all recurring themes. To this end, the flute takes on a particularly important role in this album: it is the artist’s voice, it is the listener’s guide through unfamiliar landscapes, and it is the bridge that connects old and new worlds. Physical and digital copies of APOGEE are available through Bandcamp and digitally on iTunes. “Mark is a performer who isn’t afraid to be theatrical, yet he never lets his theatricality get the upper hand on his musicianship­. Each piece served as penetrating exploration into those deleterious human foibles that … served as the basis for an evening of introspection and soul searching.” — Vancouver Observer (review of Sins & Fantasies CD Launch Concert, April 4, 2014). Read the entire review here. “McGregor’s remarkable gifts as a player are mesmerizing. Besides his extraordinary technical mastery, his is playing of the most imaginative and creative kind. And to top it off, the disc closes with McGregor’s own Le dernier repas de M. Creosote, inspired by the infamous Monty Python character and an absolute tour de force any way you slice it…. as Chaucer says in The Parson’s Tale, the deadly sins “all run on one Leash, but in diverse manners,” and here their diversity is astonishing, inspiring, and only dangerous in the best possible way.” — Alison Melville, the WholeNote Magazine. Read the entire review here. Sins & Fantasies asked seven Canadian composers to contribute a work for solo flute, each inspired by one of the Seven Deadly Sins. The result is a fascinating exposé of the underbelly of human behaviour, ranging from the introspective to the theatrical to the hilarious. The programme is rounded out with a selection of Fantasias by the Baroque composer, Georg Philip Telemann. Featuring new works by Dorothy Chang (Wrath), Gregory Lee Newsome (Greed), Owen Underhill (Pride), Jocelyn Morlock (Lust), James Beckwith Maxwell (Envy), Benton Roark (Sloth), and Mark Takeshi McGregor (Gluttony). Sins & Fantasies was nominated for Classical Recording of the Year at the 2015 Western Canadian Music Awards. To listen to an excerpt from James Beckwith Maxwell’s solo flute piece, invidere, click here. To listen to McGregor’s performance of Telemann’s Fantasia No. 7 in D major, click here. Sins & Fantasies is available through the Canadian Music Centre and on iTunes. “A national treasure! It is not only that [McGregor] is a great flutist and a truly engaging performer… he has a nose for that je ne sais quoi that makes a work a good piece of music. His choice of repertoire, and there is a lot of it — close to two hours — is unerringly good. The fact that the field was narrowed by limiting it to composers with some sort of connection with Japan makes this accomplishment even more remarkable.” — Allan Pulker, the WholeNote Magazine. Read the entire review here. 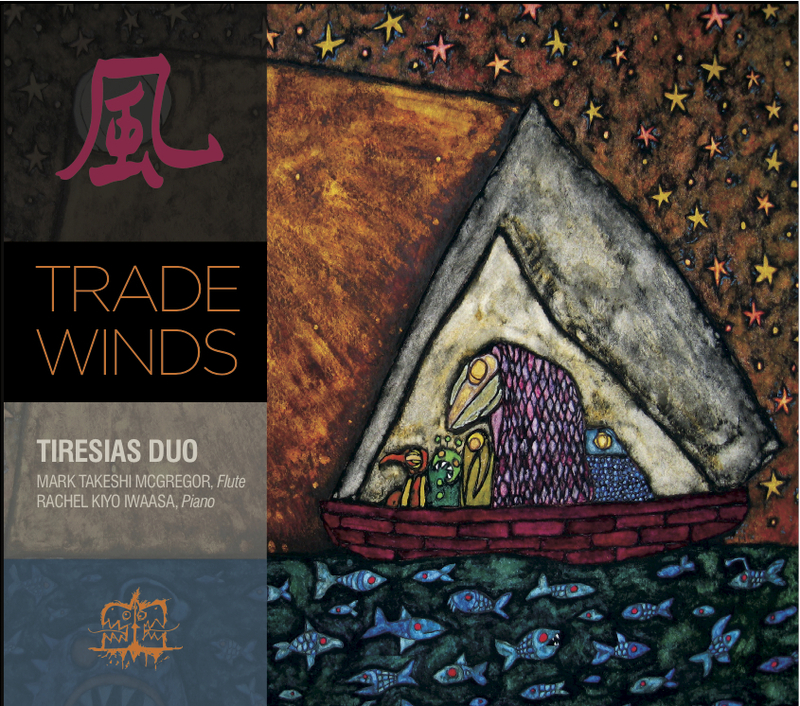 The sophomore release of Tiresias Duo, Trade Winds is a double album. Disc One explores the cultural connections between Canada and Japan from a number of angles: Japanese composers with connections to Canada, Canadian composers of Japanese heritage, and Canadian composers of Western heritage who have been influenced in some way by Japanese music. Disc Two celebrates three generations of composers from the Canadian West Coast, with a particular emphasis on the music of Jean Coulthard. Trade Winds features music by Kara Gibbs, Anthony Genge, Elliot Weisgarber, Hiroki Tsurumoto, Jo Kondo, Toru Takemitsu, Derek Charke, Christopher Kovarik, Paul M. Douglas, and Jean Coulthard. To listen to the third movement of Kara Gibbs’ Untitled Scenes, click here. To listen to the second movement of Derek Charke’s Distant Voices, click here. Trade Winds is available through the Canadian Music Centre and iTunes. J.S. 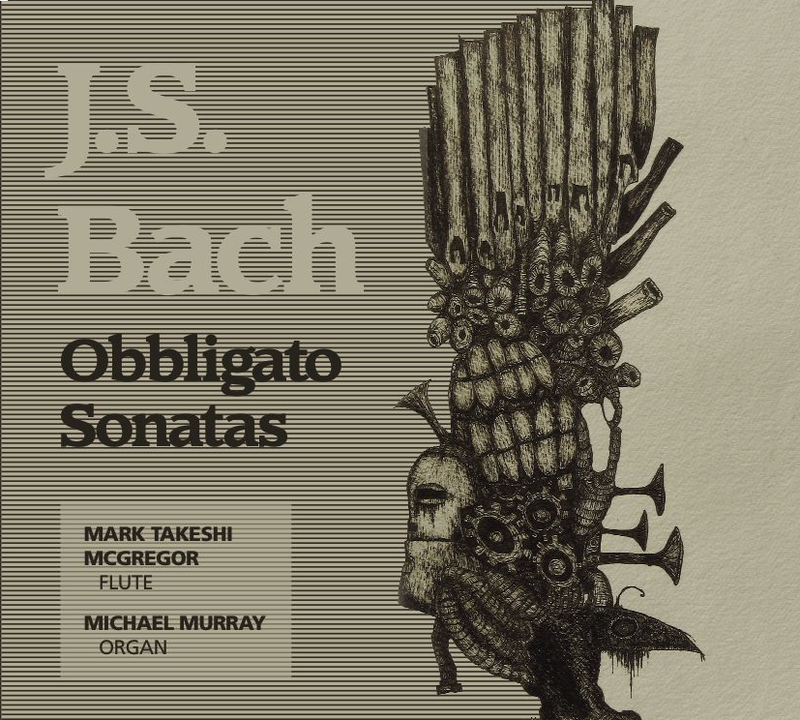 Bach: Obbligato Sonatas was the result of an Indiegogo campaign in 2011, in which many, many generous individuals — friends, family, colleagues, and music loving strangers — contributed to make this project a reality. Recorded in Vancouver’s St. Philip’s Anglican Church, this CD features Bach’s obbligato sonatas in G minor, E-flat major, B minor, and A major (featuring a new reconstruction by Canadian composer Chris Kovarik), as well as the famous Partita for solo flute in A minor and the B minor organ fugue inspired by a theme of Corelli. To listen to the first movement of the G minor sonata, click here. To listen to the second movement of the B minor sonata, click here. “Seven beautifully crafted compositions by young composers, magnificently multi-tracked… by Vancouver flutist Mark Takeshi McGregor, make this CD of music for multiple flutes of interest beyond the ranks of flute aficianados and beleaguered university flute choir directors.” — WholeNote Magazine. Read the entire review here. In recent history, the “flute choir” has been a much-maligned ensemble, despite a rich history that dates back to the Renaissance. Different Stones: Canadian Music for Multiple Flutes is an exposé of music by Canada’s younger generation of composers, and a testament to the timbral diversity and expressive capacity of this genre. The music of this CD boasts a wide range of styles and aesthetics: from the works of Nobles and Kovarik, which openly embrace traditional forms and harmony, to the more abstract and austere compositions by Butler, Rabe, and Maxwell. Each piece is written for ten flutes, with many of these works utilizing piccolo, alto flute, and bass flute, thus extending the range and timbre of the ensemble. For this recording, all ten parts have been multi-track recorded by Mark Takeshi McGregor. Different Stones was nominated for Classical Recording of the Year at the 2010 Western Canadian Music Awards. To listen to Gregory Lee Newsome’s coruscating, click here. This disc is available through the Canadian Music Centre and iTunes. “McGregor and Iwaasa have excellent rapport and capture each score’s naturalist poise… Most people don’t know what BC music is like, how when it’s properly performed it whiffs of cedar, ocean mist and rainwater, with long slow arabesques wavering the way healthy boughs do in an evening breeze. Tiresias evokes this atmosphere with seamless execution and clear engineering… “Delicate Fires” illuminates an important and refreshing aspect of our national sound that begs multiple hearings.” — WholeNote Magazine. This album is a celebration of three generations of BC composers, paying special tribute to the legacy of Barbara Pentland, one of the great doyennes of English Canadian music. Delicate Fires features the first commercial recordings of Pentland’s Sonata Fantasy (1947) and Trance (flute and piano version, 1978), as well as the premiere recordings of new works by Rodney Sharman, Jennifer Butler, and Jocelyn Morlock. 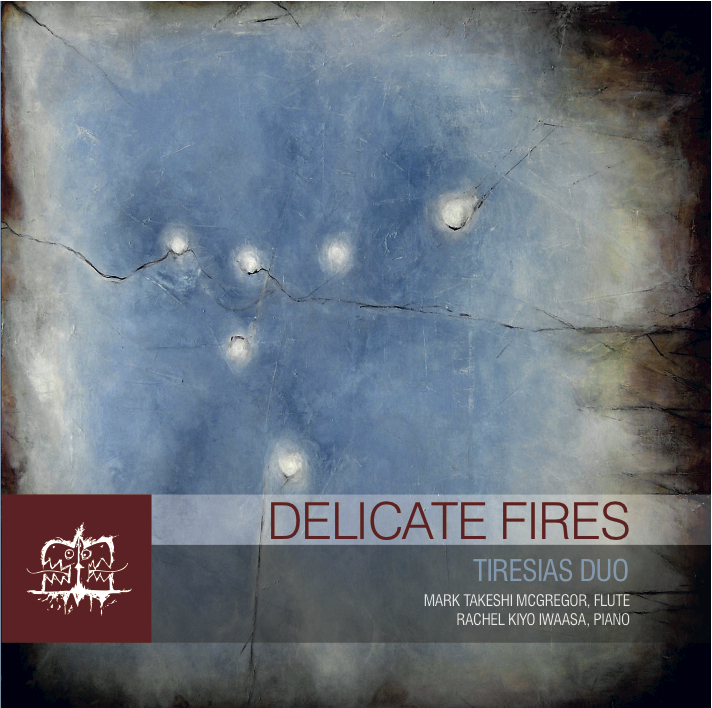 Delicate Fires was nominated for Classical Recording of the Year at the 2008 Western Canadian Music Awards. To listen to the third movement of Jocelyn Morlock’s I conversed with you in a dream, click here. Delicate Fires is available through the Canadian Music Centre and iTunes. Featuring the premiere recording of Ouijist for alto flute, violin, double bass, and percussion. To hear an excerpt from Ouijist, click here. Bookburners is available through the Canadian Music Centre. Ensemble contemporain de Montréal, Véronique Lacroix, cond. Features Fitzell’s flute octet, Magister Ludi (nominated for 2015 JUNO, Classical Composition of the Year). Magister Ludi is available through the Canadian Music Centre. Jordan Nobles’ JUNO winning (2017, Classical Composition of the Year) Immersion, a four-movement work for chamber ensemble, recorded in North Vancouver’s Break Head Tank. Immersion is available through Redshift Records.